Let’s face it you can never really be ready for that first “hypo”. “What was to come?” Although I’d read about the symptoms, I could never have imagined the way it would affect me. I wasn’t really prepared for the feelings I was going to experience. The most frightening thing about it all was that I didn’t even realise, that I was already beginning to go through some of these symptoms. In all honesty, I wasn’t sure! I had nothing that I could measure against and confirm that it was a hypo. This was my first hypo experience! Initially I felt hungry. But I just thought, “maybe I was just hungry.” Lunch was nearly ready so I waited patiently. I didn’t feel that I needed to alert my mother. “was it a hypo, should I say something?”. Believe it, or not, my first reaction wasn’t to go and check my BGL. Although you’d think “well why didn’t she just do that?”. But remember I was a child of 11 and this was the first big responsibility I had ever had. A responsibility which I was still familiarising myself with. I can only put it down to my inexperience and being new to my diabetes. Unknowingly as my symptoms progressed, I felt and realised, that these were some of the symptoms I’d read about, “Perhaps I was having a hypo”. I remember stumbling over to my mother, feeling very upset, sweating profusely and telling her, “I think I’m having a hypo.” Her reaction was instant. She sat me down, gave me a sweet drink, which I gulped down straight away. She seemed to be moving at the speed of lighting. She tested my BGL, and we both looked down in shock as my blood glucose meter read 2.1. In my mind I thought, “is that right?” At the time, I just knew that this was way below the normal level. It was a scary thing to go through for first time. I can only imagine what it was like for my mother watching me go through this first hypo. Even now, hypo’s can still be very worrying and scary. My first reaction to feeling hungry or dizzy, is to test my BGL as soon as possible. This allows me to decide whether it’s my BGL or if I’m just hungry. It’s really important to recognise at least one of your symptoms. If you don’t have symptoms, keeping a close eye on your BGL ‘s is the only way to do it. Teach the people around you, and make them aware of your symptoms and how they can help you. I can’t stress how vital this is. How to treat mild and severe hypo’s? The first thing I usually reach for is a bottle of Lucozade. But any energy drink or sweet sugary drink is fine. I consume 50mls, which increases my BGL instantly. 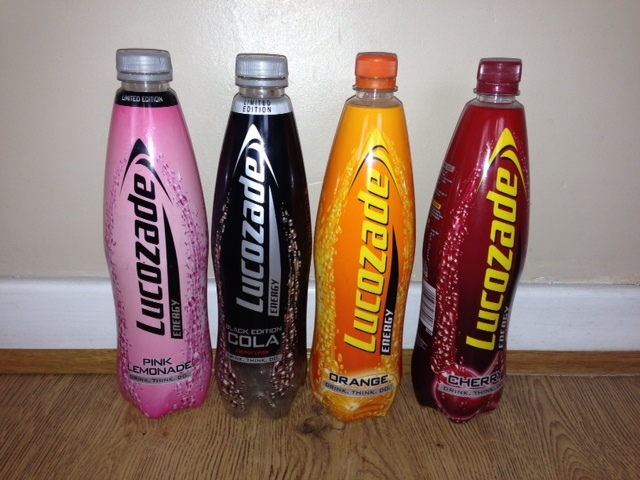 The great thing about Lucozade, is that it taste great, its easy to consume and they recently started doing more flavours. Although my BGL raises instantly, in order to keep it stable I frequently follow up with some form of carbohydrate i.e. a banana, a slice of bread, raisins or dates etc. I’ll check my BGL at least an hour after my hypo. I always carry some form of sweet drink with me (usually Lucozade, as they come in a smaller bottle and are perfect for carrying in a bag). I will also keep some gluco tabs or gluco juice handy. GlucoTabs are fast acting chewable dextrose tablets, which contain 4g of glucose and can be used to treat mild hypo’s. They also come in two great flavours (orange and berry). Gluco juice is a caffeine free shot-sized sugar boost that can also help to treat mild or moderate hypo’s. Each bottle contains 60 mls of juice, containing 15g of fast acting carbohydrates. When hypo symptoms persist and a person is either unable to treat themselves, or they are unconscious. Glucagon injections are used to treat the severe hypoglycaemia. This is a hormone which helps to increase BGL. When glucagon is injected, it is absorbed into the blood stream. The glucagon moves to the liver and encourages the liver to release glucose into the blood. The effect of glucagon isn’t immediate, it usually takes between 10 -15 minutes to raise BGL’s back to a safe level. I’ve never had to use the glucagon injection, as my hypo’s have never been as severe as this. However I always keep a glucagon injection in the house, for when I might need it. What was your first hypo experience like? How do you treat yours? If you’re not diabetic, have you ever observed a diabetic during a hypo, or been involved in anyway to help them etc? 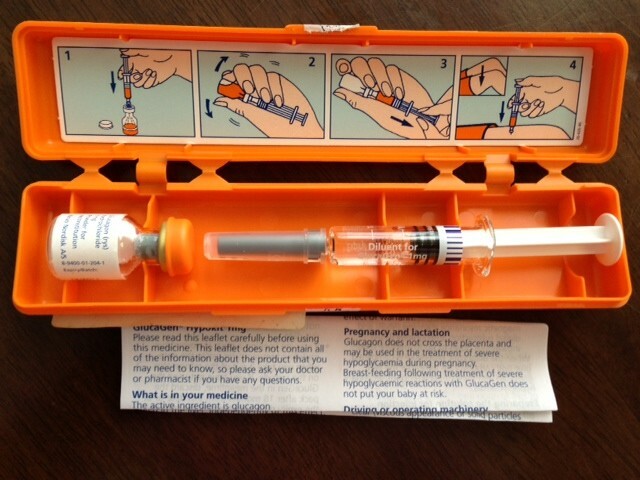 Because I have no experience using the glucagon, what are your experience’s of using one? Thank you for stopoing by and taking the time to look at my blog. I was home alone and had a severe hypo. That glucogan’s gauge is so thick . So what did I do? I injected th solution from the syringe into the vial and with drew 10 units with my BD syringe. Yes, it did the job. My BG increased from 32 to 128. I still have glucagon left in the vial and it hasn’t gone bad. Wow that was a really severe hypo you had and very scary. I can’t believe you used your BD syringe. But I’m glad it worked out and got your sugar back up. I’ve never really had to use the glucagon, but I always keep one handy. You just never know right? When I was pregnant I did have a few close calls, but thank god I didn’t need it. Do you tend to have quiet severe hypo’s ? Another really good post 🙂 Keep up the good work SHSL. Question: How often do you have a hypo? what do you do to prevent your body from going into that state? The frequency of my hypo’s have changed throughout the years. After I had my son, I began to suffer mostly with ‘nocturnal hypoglycaemia. I’ve found that I am more sensitive to my insulin during the night. To stay clear of these hypo’s, I work with my diabetic team and I constantly check my BGL’s. In this way I’m able to alter my insulin rates to try to avoid hypo’s arising. However this doesn’t always prevent hypo’s. As you may have read in my previous post, there are other factors which could result in a hypo. For example, weight loss, stress, lack of food etc. I just try my best to eat healthily, test my BGL’s (look for patterns and shift rates), I try to stay active and most of all positive. I also suffer from nocturnal hypos. I’m type 1 on insulin. My last one was particularly traumatic. I awoke from sleep feeling delirious and bewildered by my surroundings. It was like I was still dreaming. I had am incredible mixed feeling of extreme hunger yet nausea at the same time. I got up to make a hot drink but couldn’t make sense of my environment. All my thoughts were distorted and it felt like something awful was about to happen. Next thing I knew my heart was pounding out of my chest, I could literally hear how fast it was pumping. I lost my strength to stand and became overwhelmed with weakness, I had no muscle control. Then it just hit me like a train. The sweat was pouring off me and I felt seconds away from passing out. I managed to check my blood sugars and sure enough, I was 2.1. I always keep Dextrose tablets on my nightstand and other strategic areas of my house. I took 4 as I lay on my bed completely unable to function. My vision was blurred and I had such a powerful sense of unreality. Eventually, the world started turning the right way up and in about 15 minutes or so I came round feeling more lucid. I made sweet hot tea and toast and got back into bed. Checking my sugars again I was stable and out of danger. What people don’t really consider is the after affects of a hypo. Personally, I always suffer for a day after one. 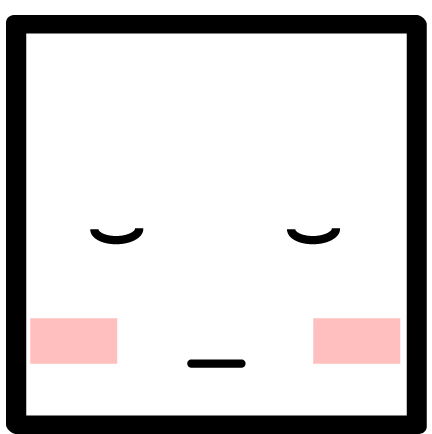 All of my muscles ache and hurt and the fatigue and lethargy render me so weak. I have to stay in bed and rest. My concentration is poor and my head feels very muddled – like “brain fog”. I try to test my sugars right before bed but sometimes I admit I do forget as I’m so tired by the end of the day. Thank you so much for sharing your experience. Hypo’s really are awful. Are you on an insulin pump? I use the Animas Vibe and occasionally I get to use the dexcom sensor, which really helps with the nocturnal hypos. My basal rates at night time are very low in comparison to my day time rates. The pump and sensor have allowed me to really fine tune it. However, I do still have the occasional hypo in night but thank god so far I’ve been able to wake myself and bring my sugar up as quickly as possible. I can totally relate to all those feelings you’ve described and it’s just horrible. Night time testing can be hard but it helps to get an idea of what is happening during the night. Then with the help of your doctor you could tweak your rates. I’ve had to do carb testing on several occasions and at different times during the night/ month, because (that time of the month) is another issue. I hope that the nocturnal hypos will settle down for you. Your doing a great job. Be patient with it, it’s not easy, I know that all too well. Stay stocked up on those dextrose and I always bring extra food or drink to my room in the night, just incase the dextrose aren’t helping me and so I don’t have to use too much energy. Also suspend your pump if your using one.